The shelf-stable milk bottle, aseptic box and stand-up pouch will make museum pieces out of gabletop cartons, cans and many other packages. Credit Napoleon for all these wonderful food packages. As the Little Corporal and later emperor remarked, “An army travels on its stomach.” Neither his soldiers nor their stomachs were doing so well in 1795 when a lack of safe food put his world conquest plans in jeopardy. But Parisian Nicholas Appert claimed a government reward when he came up with the technique of canning (or retorting, essentially, since he first used glass containers). Napoleon’s fortunes improved, as did Appert’s. Indeed, much of the world exploration of the late 18th and early 19th centuries may not have been possible without the subsequent advances in the preservation and packaging of food, headlined by names like Louis Pasteur and Englishman Peter Durand. Some may argue the rate of technological change in food packaging has slowed in the past couple of decades. But packaging innovation does live on. 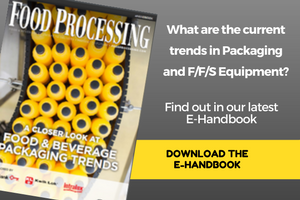 It is especially evident this time of the year with the annual co-located shows Pack Expo and Food Processing Machinery Expo (see p.63) plus a handful of end-of-year packaging award programs (see our report on the Institute of Packaging Professionals awards on p.98). Food processing and marketing often is only about the food itself. But packaging, as any astute marketer will tell you, is a vital part of the equation. (See “Markaging: Your in-store salesman,” FP August ’04, p.63). And in the case of the three packages we’ve picked for this cover story, the packaging is revolutionizing the food inside and the way it’s being marketed. Milk has always suffered from schizophrenia, along with delusions of grandeur. “Nature’s perfect food” on the one hand was considered such a critical commodity that the same government-established standards of identity that ensured its purity and (pardon the pun) homogeneity also restrained it for years from stretching out into new directions. While its packaging made leaps from glass to paper to plastic, some would argue those advances actually set back some of the freshness in its taste and its shelf life. As for flavor experimentation, chocolate certainly is an established flavor but even widely accepted strawberry, stuck for a couple years at just 4 percent market share, seems like a crap-shoot to some milk processors. Egg nog is economically viable only in short runs for the holidays. What about vanilla, America's favorite ice cream flavor, as a milk option? How about banana or orange creamsicle? Why not root beer and pina colada? Why? Because processors could not economically make them in short runs, and retailers could not sell enough of them within milk’s traditional 14-day shelf life. But what if milk could for months? Maybe even a year? For decades in Europe, a large percentage of the milk had been sold in shelf-stable, aseptic boxes. In part this dated back to many countries’ less prevalent use of refrigeration, from the distribution channels right through to homes. Shelf-stable milk could be shipped at ambient temperatures and stored similarly, by retailers or by consumers, then chilled before use. Shelf life typically was six months. The higher temperature needed to sterilize this milk gave it a cooked or even burnt taste, many first-time tasters say. While there were several attempts at similar packaging and processing in the U.S., it never caught on. Meanwhile, here in the U.S., several consecutive years of declining milk consumption spawned category-wide marketing programs. Not only did they re-establish the numerous benefits of gallon-milk, but they began to promote single-serve milk as a viable, even hip, beverage option. However, one of the first obstacles was to take single-serve milk out of the unresealable, unattractive little gabletop cartons and put it in sleek resealable plastic bottles. Although it still came only in white and chocolate, milk began fighting back. The two technologies converged at the turn of the millennium when four European machinery-makers created systems to take European-inspired shelf stable milk and put it in American-inspired single-serve plastic bottles. It would be an expensive and arduous task to be the first company to prove to the FDA that such milk was safe. When consolidation in the dairy industry finally produced a billion-dollar national milk company, that company, Dean Foods, took up the task. Further armed with contracts to bottle Hershey’s chocolate milk and shakes and Folgers Jakada coffee-milk drink, Dean in December 2001 applied for FDA approval to distribute and sell its milks warm or cold with 180 days shelf life. Both products are in high-density polyethylene bottles with special barrier layers. FDA approval came in 2002. Despite their heavyweight brands, Hershey’s milks and Folgers Jakada are in pitched battles with entrenched category leaders (NesQuik in milk and Frappuccino in coffee drinks). But their aseptic packaging is providing a leg up. A few other dairies have similar filling and packaging technology and also may be moving toward officially stated 180-day shelf lives, as well as unusual flavors. The day may come soon when you can buy at Samâ€˜s Club a 24-bottle case of single-serve milk bottles in a rainbow of flavors and keep them in the garage unrefrigerated until just before use. The end of the age of cans? Cans have reigned as a premier food package since the early 1800s. But Hormel and Stagg chili cans already are heading for the museum, and others may be on the endangered species list, ousted by a little cube of foil and paper with a tear-off top. The new Recart retortable carton from Tetra Pak, Vernon Hills, Ill., is poised to challenge retort pouches, rigid retortable plastics and conventional metal cans and glass jars. This six-layer, cardboard laminate structure, incorporating polyester and foil, essentially is a cross between the retort pouch and Tetra Pak’s groundbreaking aseptic box of more than a decade ago. The Institute of Food Technologists (IFT) recently honored the Tetra Recart retortable carton packaging system with the Industrial Achievement Award. IFT views the Recart as an outstanding development that represents a significant advance in the application of food science and technology to food production. The 14.3-oz chili cartons are laser-perforated for easy opening â€“- needless to say, they don’t require a can opener. Their cube shape is easily handled, stackable and space-efficient. They are batch retort-sterilized at rates of about 24,000 packages per hour, rendering them shelf-stable for 24 months. Because of the foil layer (also present in most retort pouches), the retorted carton is not microwaveable. Microwaves cannot penetrate foil or metal. This presents a consumer-convenience disadvantage over retortable plastic cups and bowls. However, consumers can easily transfer the chili to a microwaveable bowl or stove-top heating pan and then reclose the carton to refrigerate unused portions. The cartons are recyclable in existing milk carton/juice box recycling streams. Hormel is converting both Stagg and Hormel chili brands to the new retorted cartons. This little beauty already made our cover in May when we wrote about innovative food products from small companies, so we felt bad about featuring North America’s first reclosable can twice. But it is the first significant development in cans in many years, and it addresses two of their shortcomings. The Dot Top can actually was discovered in Brazil by Silgan Containers, its U.S. vendor. It requires no can opener to open it; the lid is held on by a slight vacuum. If only part of the contents is used, the lid can be snapped back on with a little downward pressure. Hirzel Canning, Toledo, Ohio, is the first company to use it: for its Dei Fratelli Presto brand of pizza sauce and Italian dip. Aseptic boxes have a dead bead on cans, and shelf-stable milk bottles are taking aim at gabletop milk cartons and simple plastic bottles. But no new packaging technology is cutting such a wide swath as stand-up pouches. Cans, cardboard boxes, even other pouches are falling victim to this packaging juggernaut. Stand-up pouches (SUPs) have come a long way since their U.S. debut in 1981 as the innovative package for Kraft’s Capri Sun juice drink. Even with that history, they remain a relatively novel package with consumers while becoming an increasingly familiar one with food and beverage processors, who appreciate this high-profile container with excellent versatility. They boast unique, consumer-appealing appearance, ability to incorporate eye-catching, billboard-type graphics, recloseability and easy portability. SUPs are capable of holding a full range of wet and dry products — from snacks, candies and cereals to rice/pasta/vegetable meal kits and cake/cookie mixes to cheeses, meats and pet foods to beverages, soups and sauces. Based on their customized construction, they are adaptable to a range of temperature tolerances, including retort processing (for more about retort pouch trends and technologies, see p.93). SUPs also can offer excellent barrier properties for gas-flushing and other modified atmosphere packaging applications to extend product shelf life. And they can be produced in both clear and opaque formats, sometimes with customized handles and pouring spouts, in a range of specialized shapes, depending on user requirements. For clear SUP applications, Kapak Corp., Minneapolis, offers the FlexiBowl, adaptable for both retort and non-retort products. FlexiBowl can be custom-produced in a range of laminations and barrier structures to satisfy specific product needs and can be printed in up to eight colors. Sizes range from single-serve to 2-lb. foodservice packs. Precise laser scoring enables easy removal of the peel-strip without use of knives, scissors or other utensils to create a stable-standing “bowl” ready for microwave heating. In terms of packaging speeds, packaging equipment technology advances also are making the SUP more attractive. And more contract packagers are offering SUP packaging services for processors who prefer not to invest in their own stand-up pouch packaging machinery. While stand-up pouches provide a lighter-weight, freight cost-saving, disposability space-saving alternative to some other packaging types, one drawback has been their inability to be stacked during shipment, storage and in-store shelf display. UK-based Amcor Flexibles, working with German packaging machinery manufacturer Rovema, responded to that problem with the introduction of FlexCans—easy-open, recloseable stand-up pouches with flat-top nestable/stackable panels. Their stiff structure comes from a three-ply laminate of oriented polypropylene, metallized polyethylene terephthalate and lapseal polyethylene. The British sun-dried fruits and nuts company Sundora already is using the Amcor FlexCan to package dried fruits. While tuna has been in stand-up pouches for three years or so, Chicken of the Sea this summer was the first to pouch shellfish, including crab, imitation crab, shrimp, clams and smoked oysters. It’s no wonder SUPs are experiencing a growth surge. They are the fastest-growing segment of the pouch market, increasing at an average rate of 15 percent per year through 2008 to $1.3 billion, according to a recent study by Freedonia Group, Cleveland (the “Pouches” study is available for $4,200 by contacting Corinne Gangloff, e-mail pr@freedoniagroup.com.) The report concludes stand-up pouches are driving the overall U.S. pouch market, which is projected to reach $5.2 billion in 2008. By then they will represent 5 percent of all packaging.